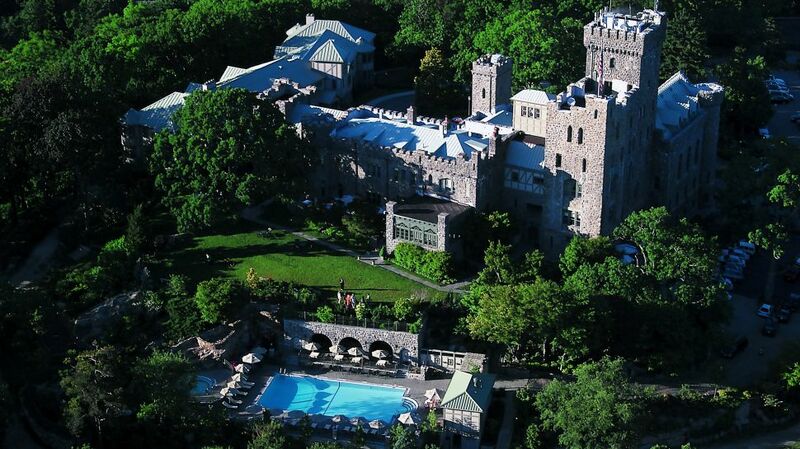 Only thirty minutes north of Manhattan the Castle sits on sprawling acres of manicured gardens and grounds. Spacious tower suites with breathtaking views of the Hudson River. Fireplaces throughout the Castle and in most of our luxury suites. Large and luxurious standard guestroom accomodations. Privacy and exclusivity, only 31 guestroos in the Castle. The Castle tower is the highest point in Westchester. Highly-acclaimed Equus restaurant available for breakfast, lunch, or dinner. 4 star and 4 diamond recipient. For summer months we offer our guests, outdoor heated swimming pool with poolside bar.